Don’t Let CSS Scare You. 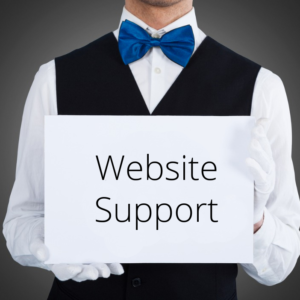 Save Big On Dedicated Website Support. Take 15% OFF your first month of dedicated webmaster services below. Enter promo code SPOOKYWEB15 on checkout to apply discount. On Demand Requests Got a bunch of updates to make on your website but don’t know where to begin? Let us handle it for you. Simply submit a ticket with your edit requests and we’ll address them ASAP. Affordable Flat Rate We don’t like confusion or surprises either. Know exactly what you’re paying without being nickel and dimed. Analytics Review We’ll review your Google Analytics on a monthly basis and provide ongoing suggestions to further improve your results. Protection & Prevention We use Sucuri’s enterprise website firewall to shield and protect your website. We will monitor and manage all alerts regarding the security of your website. Decrease Page Load Time By delivering your content through a Content Delivery Network, expect your webpages to load faster. Learn how. Website Security Designed For Small Business Sleep peacefully at night knowing your website is protected.